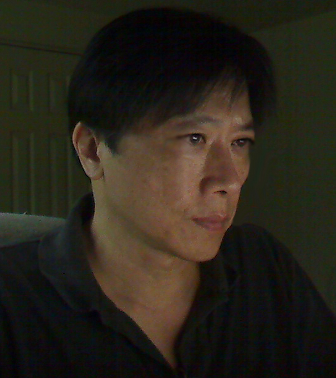 Interview with Interesting Author Khanh Ha about His Novel, Writing, and Inspiration | Oh, for the HOOK of a BOOK! 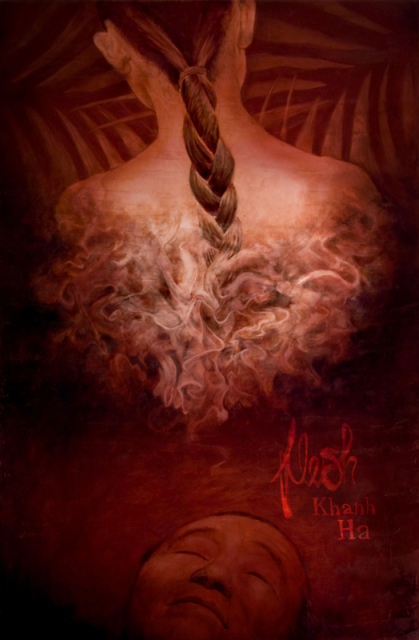 Today I have an unique interview with Khanh Ha, author of Flesh. Flesh is literary fiction that becomes historical as it takes place in turn of the 20th Century Vietnam. The book is mind-blowing in its detail and euphoric depth; you can read my review from a few days ago clicking FLESH REVIEW. Hello Khanh! Welcome to Oh, for the Hook of a Book! I am honored and thrilled to host an interview with you today. How are things? Khanh: Everything’s fine. How about yourself? Erin: All is always wonderful in a world of books and writing! Let’s sit for tea, relax, and talk about writing…..
Q: You’re debut novel, Flesh, is literary genius. I am humbled to have been able to read a work so full of originality and detail. It’s not always easy writing in the first person, how did you decide to take the risk to do so and how do you feel it worked for you? A: In fact, I wrote the first draft in third-person point of view (POV) and I let my Beta reader read the first 100 pages of it. Her lukewarm reception caused a knee-jerk reaction on my part―How can I be wrong? Then after the aversion to such reception wore off, I took an ax and started hacking my way through the manuscript. The impersonal voice in 3rd-person POV suddenly became closer, warmer in 1st-person POV. But I had to stay with the 3rd-person POV through the French priest to be able to narrate events beyond the limits of 1st-person POV. Q: I am a fan of first person narrative. Your novel read like the stories passed down through the generations. Did you have such stories in your own family culture to derive from or make example from in your writing? A: The only part that’s related to my family story is the beheading. My mom told me that my grandfather was one of the last mandarins of the Hue Imperial Court, circa 1930. At that time the Vietnamese communists were coming into power. They condemned any person a traitor who worked either for the French or the Hue Imperial Court. So my grandpa was a traitor in their eyes. One day news came to him that a communist gathering was to be held in one of the remote villages from Hue. He set out to that village with some of his bodyguards to punish the communists. Unfortunately, news leaked out about his trip. He was ambushed on the road—his bodyguards were killed—and he was beheaded. The communists threw his body into a river. My grandma hired a witch doctor to look for his headless body. Eventually the witch doctor found it. They were able to identify his body based on the ivory name tablet in his tunic. My grandma hired someone to make a fake head out of a coconut shell wrapped in gilded paper and buried my grandpa on the Ngu Binh Mountain. Then, several years ago, I read a book called “War and Peace in Hanoi and Tonkin,” which was written by a French military doctor. In one chapter he depicted an execution. The scene took place on a wasteland outside Hanoi. This bandit was beheaded for his crime while the onlookers, some being his relatives with children, watched in muted fascination and horror. The beheading of grandpa surfaced again while I was reading the decapitation scene in “War and Peace in Hanoi and Tonkin.” It became an inspiration for Flesh. Erin Comments: That is an incredible story, Khanh. Thank you for sharing that. Q: Your writing style reminded me of Khaled Hosseini and the newest literary risk-taker to crash the scene, Mohsin Hamid. With talent such as yours, how long have you been writing? Have you written any short stories? A: As an amateur: four years including my teen years. As a serious writer: a decade. Writing novels is my primary goal and writing short stories is a way to keep my mind off my work-in-progress novel. I write short stories mostly on the weekend and sometimes at night. My short stories have appeared in 2013 February Outside in Literary & Travel Magazine, and Red Savina Review (RSR) in its 2013 Spring inaugural edition (This short story was also nominated for the Winter Literary Award in the Tethered by Letters Journal but was withdrawn because of conflict of interest with RSR. ), Cigale Literary Magazine in its 2013 March issue, and Glint Literary Journal in its 2013 Summer issue (The piece for Cigale was also picked up by The Corner Club Press but was withdrawn―failing to do that would have put me on their blacklist!). Erin Comments: Now I’m curious as to why your stories are causing such a stir…. Q: If you didn’t already allude to it, what has inspired you to be a writer? A: I write because I was born with a desire to work with words. That desire had matured in me and become an extension of myself in the form of words. And I was not inspired by any external factor to write. Just write! Q: Do you have a family story of leaving Vietnam? Maybe you’ve even written of it? Would you mind sharing? A: Many Vietnamese American writers have written fictional and non-fictional books on the boat people, on the harrowing experience of escaping the Communist ruling of Vietnam after 1975. Many of Asian and Pacific Islander writers have also written diasporic literature in general, books on their immigrants’ experience as they tried to adjust in coping with a completely new culture and social values in their new home, America, Europe, Canada, or as a second-generation Asian child born and growing up in America or elsewhere. Perhaps someday I would write about this subject, one that has saturated the book market from various Asian American writers. Q: I see you lived in Ohio at one point, as you received your Journalism degree from Ohio University! I live in Ohio and received my Journalism from another private college here. Where did this lead you? A: My Journalism background helped me when I took up creative writing classes with Daniel Keyes and later with the late Walter Tevis. Journalism taught me how to be economical with words, how to write lean prose. But it all started with Keyes and Tevis to whom I owe an enormous debt as a student who was trying to write in a language not his mother tongue and at the same not to make a fool of himself in the class critique session, which to me is like People’s Court. Q: How do you feel being trained in Journalism has helped in your pursuit to write fiction? I’ve interviewed many Journalists turned fiction authors lately, even though the writing style can vary, and I am curious about how you find the transition? Do you feel being a Journalist helps in writing literature? A: As I said in the previous Q/A, I studied Journalism before Creative Writing. And that helped! Writing journalism forces you to be judicial and sparing with words. It asks you to write objectively and unsentimentally. When you write a novel, you must be creative with words in imagery and cadence. Yet all the time you must not write superfluously and sentimentally. Therefore my karmic journalism background helps in writing literature. Q: In some ways your novel read like the best Journalism. You followed and told this humanitarian type of story as if you were living it. And as readers, we had a distinct view with visual details. What did you do to create the richness of the character that was your narrator? A: There is the so-called self-discovery during the writing process. As the author of the novel, you are the Maker―being everything and then back to being yourself. In Flesh, Tài is my favorite character. I wanted to create a boy who was impetuous, single-minded and yet tender-hearted and loyal. He is flawed in this coming-of-age story. But he redeems himself with his charismatic and magnanimous personality in action. I hope that’s how he is seen by readers. Erin Comments: To me, he is. Q: How much research went into writing Flesh? A: I spend much, much time in researching before I write. I’m a perfectionist and the harshest critic of myself. I have to know everything about what I’m going to write—well, sort of—before I ever pen the first word. For Flesh, I took time to research for the setting that took place at the turn of the 20th century. I bought reference books which were available only in printed books and complemented them with additional research materials obtained on the web. Indeed much research was done before I felt dead sure about writing it. Q: Did you travel any in pursuit of writing your novel? Your imagery of the area you wrote about was striking. A: No, I didn’t. I just needed to absorb all the details from my research and let them crystalize into a glowing image full of shades and colors and the ambiance that carries it in its womb sets up the mood for the novel. Erin Comments: You must be very good with writing imagery then because your details and settings were amazing. Q: How do you find time to cut out for writing? Do you set goals, use an outline, or free write? A: I write every day from early morning to mid-afternoon. And I write six or seven days a week―on weekends I write sometimes just one sentence or one paragraph so the circuit in my brain stays continuous. I don’t set word count, I don’t ever need an outline which to me is the nastiest straitjacket that kills the spontaneity much needed in writing a novel. (I’m speaking for myself. Let other writers use outlines to their preferences.) I write each scene until I exhaust my ideas. Not free write. Just write! Q: There is little literature in the mainstream that gives us history of Asian cultures, except maybe the great Pearl Buck. Yet it is a culture rich in stories, drama, fantasy and secrets. Do you think more writers will embrace fiction of this theme, whether of a past era or modern era? A: You can’t embrace this type of culture if your vision of a novel does not fit it. You can’t write it if your fictional taste is someplace else. If you are brought up in a culture full of magical realism like that of Vietnam and other Southeast Asian countries, you will feel blessed and find yourself appreciating “One Hundred Years of Solitude” more than ever. Q: On your blog, I “fed your fish!” Then, I read somewhere that you enjoy the ocean and sea life. Are you considering writing something in this vein? Erin Comments: Very excited to read it!!!! Q: What other writing plans do you have for the future? A: I’m done with one and working on another. The breaks between novels are for replenishing myself and then getting back to work, i.e., revising the finished manuscript, researching for the next novel. In between I write short stories until my eyes give out. Q: Where can readers connect with you? Erin: It was an absolute pleasure to talk with you today, Khanh. I have enjoyed your writing and look forward to much more from you in the future. I wish you much continued success! Thank you! Khanh: Thank you Erin for having me on your blog. And please accept my gratitude for your thoughtful review of Flesh. It’s always a pleasure to read a well-written review. The setting is Tonkin (northern Vietnam) at the turn of the 20th century. A boy, Tai, witnesses the beheading of his father, a notorious bandit, and sets out to recover his head and then to find the man who betrayed his father to the authorities. On this quest, Tai’s entire world will shift. FLESH takes the reader into dark and delightful places in the human condition, places where allies are not always your friends, true love hurts, and your worst enemy may bring you the most comfort. In that emotionally harrowing world, Tai must learn to deal with new responsibilities in his life while at the same time acknowledging his bond, and his resemblance, to a man he barely knew–his father. Through this story of revenge is woven another story, one of love, but love purchased with the blood of murders Tai commits. A coming-of-age story, but also a love story, the sensuality of the author’s writing style belies the sometimes brutal world he depicts. Fascinating information from the author re his writing and research process! Can’t wait to read his next novel. Excellent interview!